Announcement of 21 February as the International Mother Language Day (IMLD) by UNESCO reflects the significance of this issue among the members of the United Nations and its Secretary- General. 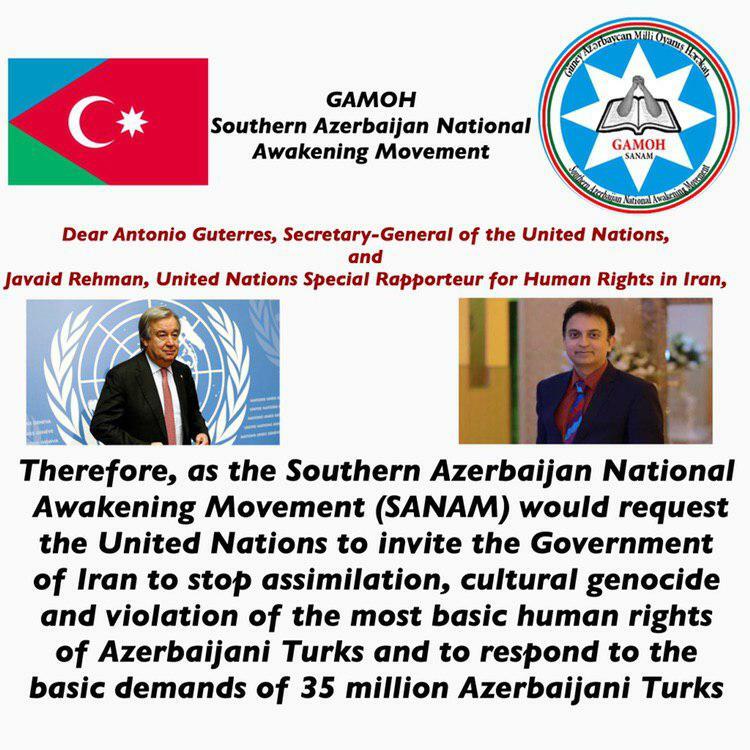 During the 90 years of ruling of Pahlavi and Islamic Republic in Iran, Turkish Language which is the mother language of more than 35 million Azerbaijani Turks has been banned in all its aspects. Article 27 of the International Covenant on Civil and Political Rights, adopted by the General Assembly resolution 2200A (XXI) of 16 December 1966. Article 3 and Article 4 of the Declaration on the Rights of Persons Belonging to National or Ethnic, Religious and Linguistic Minorities, adopted by the General Assembly resolution 47/135 of 18 December 1992. Article 15 of the Constitution of the Islamic Republic of Iran 1979. Despite the demands of Azerbaijani people and civil activists for implementing the accepted international principles during the last decades, it is reported that civil activists of Azerbaijan are sentenced long imprisonment in response to their demands. Many examples of such human rights violations can be found in human rights reports.